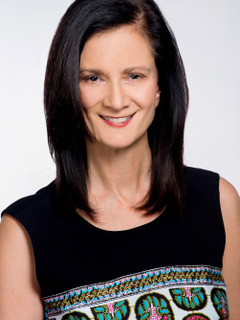 Leslie Fram serves as Senior Vice President of Music Strategy for CMT, overseeing all music integration within the CMT brand, including original programs, CMT.com and music video airplay across all screens. Since joining CMT in 2011, Fram has negotiated key partnerships with major and indie label acts for world premieres and exclusive digital content. She has championed new avenues to showcase emerging artists, including the new digital performance-based series “Concrete Country,” and most recently, the “Next Women of Country” campaign designed to showcase the female power voices of country. Before joining CMT, Fram’s career included wild rides in Top 40 radio in Mobile, Ala., alternative rock at WNNX (99X)-Atlanta, and most recently, at New York rocker 1019RXP as Program Director and Morning Show co-host with Matt Pinfield. While at WRXP, she was responsible for booking all talent for RXP shows and major events, and conducting exclusive interviews with the world’s biggest bands and emerging artists. Previously, Fram spent a decade at 99X both on-air and as Assistant Program Director and Program Director, racking up numerous awards and honors, and building her massive interpersonal network. Respected for both her hit intuition and hard-driving passion for music, Fram was the first woman to receive the TJ Martell Award in recognition of outstanding performance in the music industry in 2000, and was presented with the NARAS-Atlanta Chapter Heroes Award for her outstanding contributions to music and the music community. In 2009, she was honored as a Lifetime Achievement Inductee in the Georgia Radio Hall of Fame. She currently serves on the board of the Academy of Country Music, and has previously served as Associate Member of NARAS, and on its Board of Governors in both Atlanta and New York. Fram is an avid philanthropist and spokesperson, using her voice to support numerous non-profits and causes.